BATON ROUGE, La. 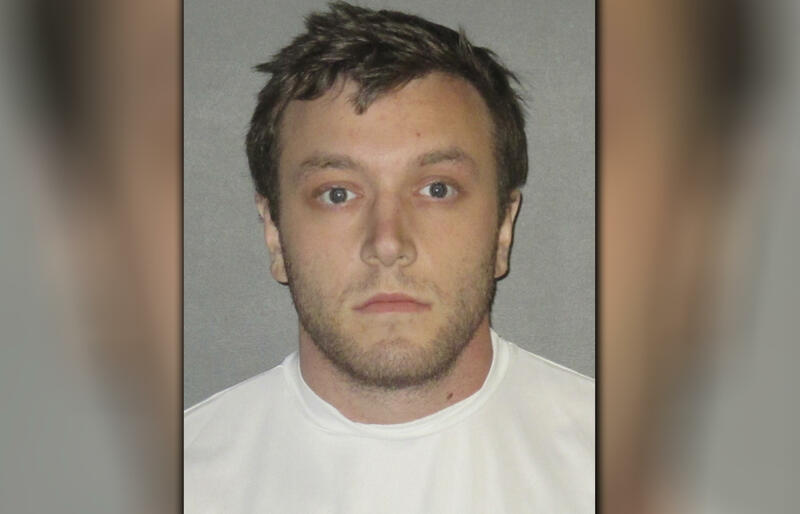 -- Authorities say a 23-year-old white Baton Rouge man has been arrested and will be charged with murder in the fatal shootings of two black men. Interim Police Chief Jonny Dunnam said Tuesday that Kenneth James Gleason was accused of killing a homeless man and a dishwasher. Bruce Cofield, 59, was killed last Tuesday. Two nights later, Donald Smart, 49, was fatally shot as he was walking to his job at Louie's Cafe. Gleason is expected to be charged with two counts of first-degree murder, officials announced Tuesday. He's also accused of firing on a black family's home. Gleason was led away from the police department in handcuffs just before authorities there held a news conference. In both shootings, the gunman fired from his car, then walked up to the victims as they were lying on the ground and fired again multiple times. Neither victim had any prior relationship with Gleason. Police have said there was a "strong possibility" the shootings were racially motivated but in the press conference Tuesday didn't detail Gleason's alleged motive. "Had there not been a swift conclusion in this case, I feel confident this killer probably would have killed again, and could have potentially created a tear in the fabric that holds this community together," Dunnam said Tuesday. A law enforcement official who spoke to the Associated Press on the condition of anonymity said a copy of an Adolf Hitler speech was found at Gleason's home. Gleason's attorney, J. Christopher Alexander, said his client "vehemently denies guilt, and we look forward to complete vindication." Alexander declined to say anything else. Officials had been searching for a red car linked to the investigation when they spotted Gleason driving the vehicle and pulled him over Saturday, East Baton Rouge Parish District Attorney Hillar Moore said in a press conference. Gleason was arrested on drug charges, but he was bailed out of jail late Sunday even though authorities considered him a "person of interest" in the murders. Gleason was arrested again on Monday by the East Baton Rouge Parish Sheriff's Office on a charge of stealing a book -- "The Hitchhiker's Guide to the Galaxy" -- from a Baton Rouge bookstore as authorities awaited test results from the state crime lab. Those results linked DNA on shell casings found at one of the scenes to Gleason, Moore said. The ATF's National Integrated Ballistic Information Network determined on Friday that shell casings found at both scenes were fired from the same weapon, Moore said. Gleason is also expected to be charged by the East Baton Rouge Parish Sheriff's Office with firing at his neighbor's home Sept. 11. The home was occupied, but no one was injured. Moore said an African-American family lived in the home, but did not say whether he believed hate was a motive. It's not clear if Gleason knew the family. Moore said Gleason "made statements" to investigators but wouldn't detail what he said. Moore said his office could seek the death penalty. "It appears to be cold, calculated, planned (against) people who were unarmed and defenseless," he said. "We don't need to prove motive. There are a lot of things that are unanswered." Sgt. L'Jean McKneely, a spokesman with Baton Rouge police, told CBS affiliate WAFB-TV detectives still believe the crimes were racially motivated, but the investigation is ongoing to determine for sure.